Take a behind-the-scenes look at advanced bike detection for signal actuation — a first-of-its-kind system that uses Smartphones for virtual detection. 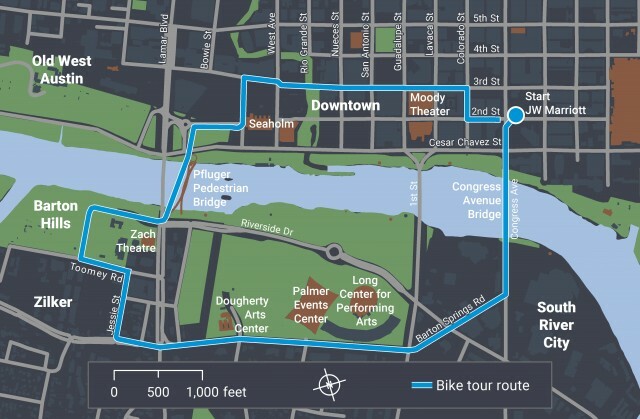 The tour will travel by bike across the Congress Avenue Bridge and along one of Austin’s new protected multi-use paths to tour the Traffic Management Center to see how KITS (the software that runs the virtual bike detection software) helps recognize cyclists and manage traffic. 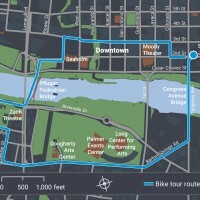 This tour will travel by bike. Participants are encouraged to wear comfortable shoes, wear comfortable business casual attire, and bring sunscreen. Bikes, helmets, and refillable water bottles will be provided. Participants will download a bike detection phone app – further information will be provided.